Check out this excellent 1957 Chevrolet Continental Kit. Recently removed from a 1957 show car. This continental kit has the chrome tire ring. All chrome and component pieces are in excellent usable condition. 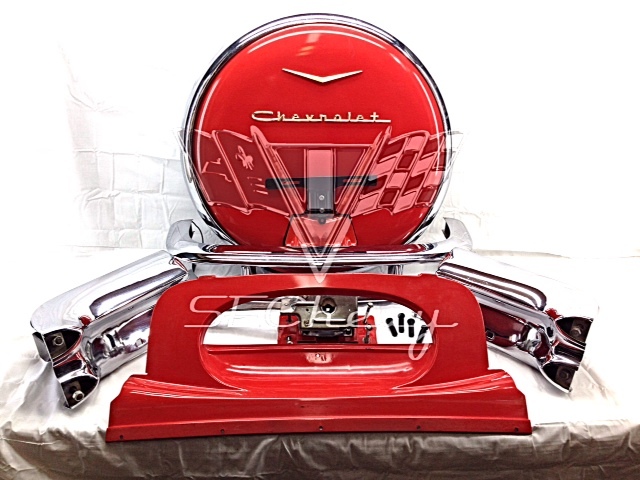 Compare this price to a new reproduction at $2700.00 plus an additional $150.00 for chrome tire ring verses a painted one, you have a savings of about $650.00.